Hello friends! 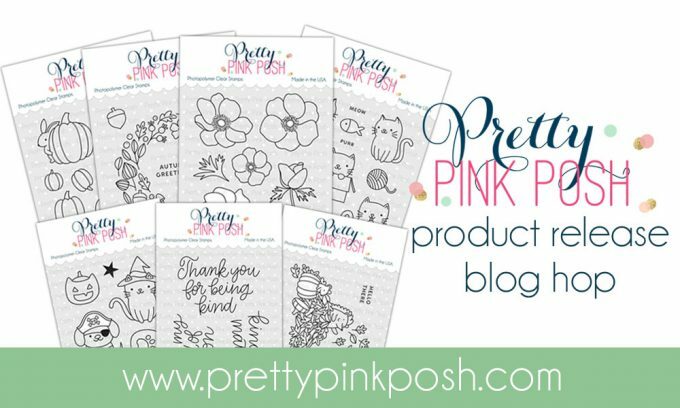 One layer cards have never been easy for me, but today I have not 1, not 2, but 5 ideas to share showcasing easy to make one layer mail-friendly handmade projects using stamps and several coloring mediums. These projects don’t require a ton of supplies and the best part is – they are mail friendly, so you can pop them in the mail to your family or friends in no time and without having to spend additional on postage. My card #1 features repeat corner pattern stamping. For this I created a grouping of images from the Autumn Wreath stamp set that take up just a quarter of the card. I stamped them in two opposite corners using my stamp platform, made slight alternations and stamped in the remaining 2 corners. I also reserved some space in the center for a sentiment from the Simple Sayings: Kind stamp set. I did my stamping on kraft paper using Simon’s Fog ink and colored images using my favorite Polychromos colored pencils. Sentiment was stamped using Hero Arts Cup o’ Joe ink. I also used a white pen and added white dot and line details to the background. To create this card I first stamped a sentiment in Cup o’ Joe ink in the center of the panel. 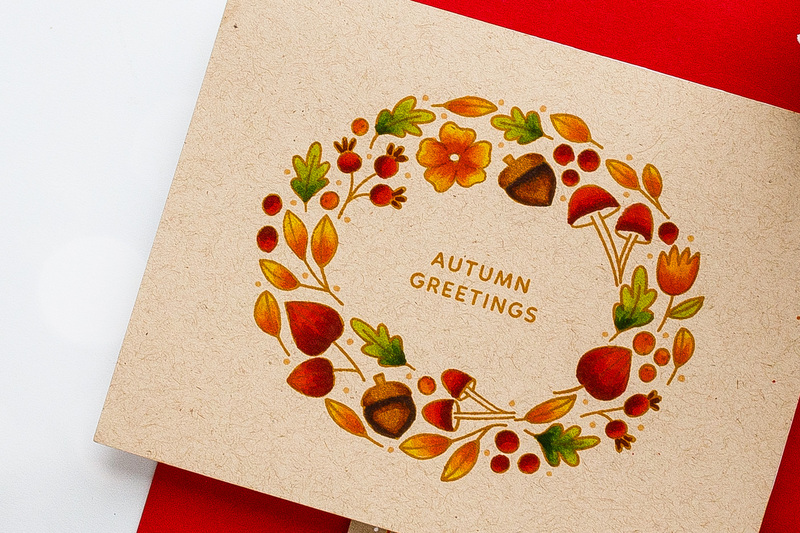 Next, I used 3 leaf images from the Autumn Wreath stamp set and stamped them repeatedly radiating from the center to the edge (and going outside the edge) of the card base. 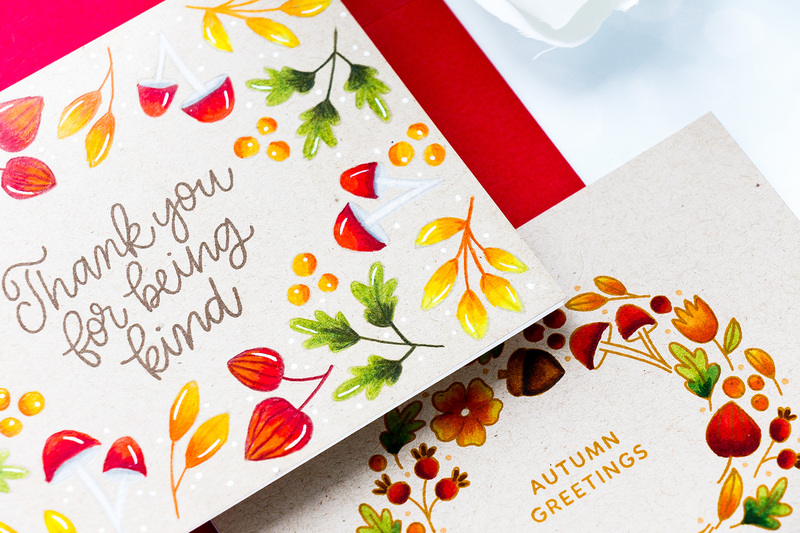 I also heat embossed the sentiment in Gold embossing powder over the original message for a drop shadow look. One of the greatest features of clear stamps is their ability to be stretched. Here I used a circle wreath and stretched it into an oval to be a better fir for my rectangular card. I stamped this image and sentiment in Hero Arts Hybrid Caramel ink, which is alcohol-marker friendly, and colored my wreath with Copic markers. Copics can be used on various papers as long as they aren’t too dark. I also used a Y612 alcohol marker from Altenew to add dots to my wreath and fill it in. The reason I used this marker from Altenew and not my Copic markers is because it has a bullet nib, a hard nib that works really well for adding tiny dots. My Copic markers don’t have a nib like that so I keep my Altenew markers by my side to be able to add these fun details. You can replace your Copic nibs and install a bullet nib like this if you like, I prefer having the original nibs in my markers. For my next one layer card idea I masked off about 1/4″ off the edge of the 4 1/4 x 5 1/2″ panel and next stamped a fun pumpkin pattern using Pumpkin Patch Critters stamp set. I used my mini MISTI to help me do this. I did quick Copic marker coloring using the same marker colors I mentioned previously. 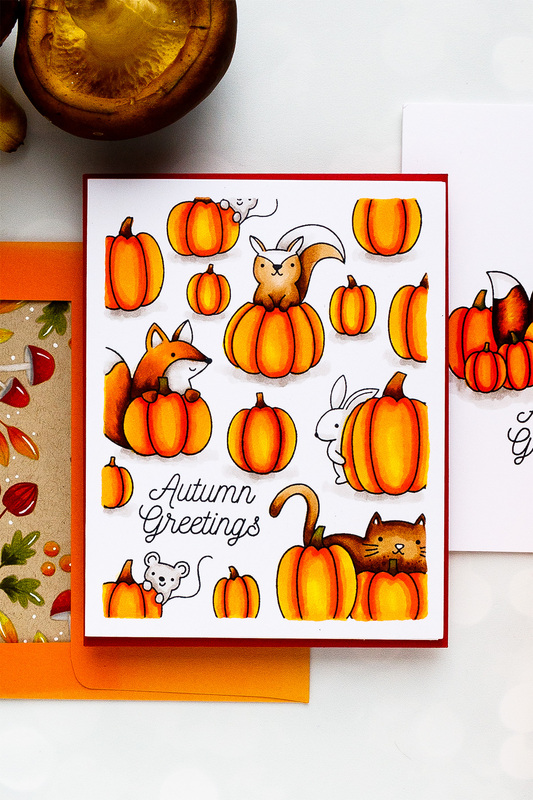 I also added shading under the pumpkins using W3 and W1 markers. My last project for today, a bonus card, features a simple one-layer masked scene. I used masking paper to create masks for several images, next arranged them into a scene and stamped images one by one using masks and alcohol marker friendly ink. I once again added shading under the images using W3 and W1 markers and called this card done! These cards are amazing! 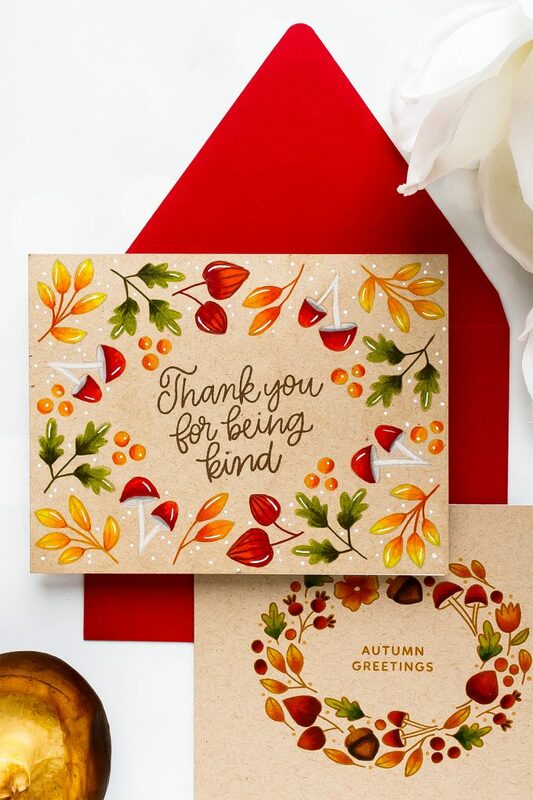 Not only are they BEAUTIFUL and celebrate fall, but they are mail-friendly and created with just a few supplies! I also love the way you changed the shape of the wreath into an oval for a whole new look. Great idea!! These all are so cool! 🙂 Love how you created your backgrounds for these cards. Fall is my favorite time of year! Seeing the crafting community post about their fall crafts gets me excited for the upcoming holidays! 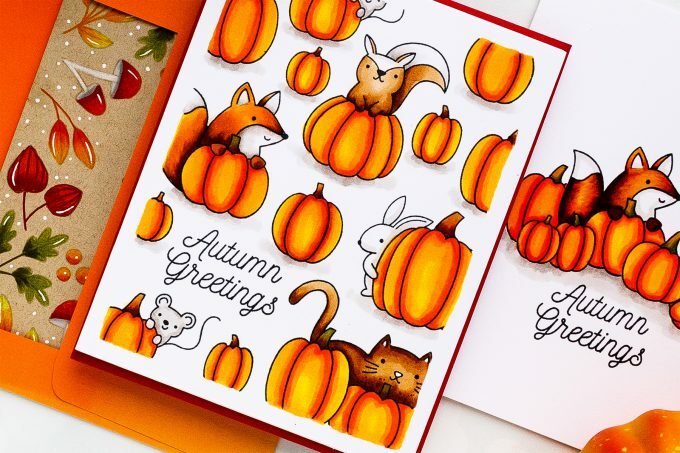 Your coloring technique is so beautiful, whether on white or kraft card stock. 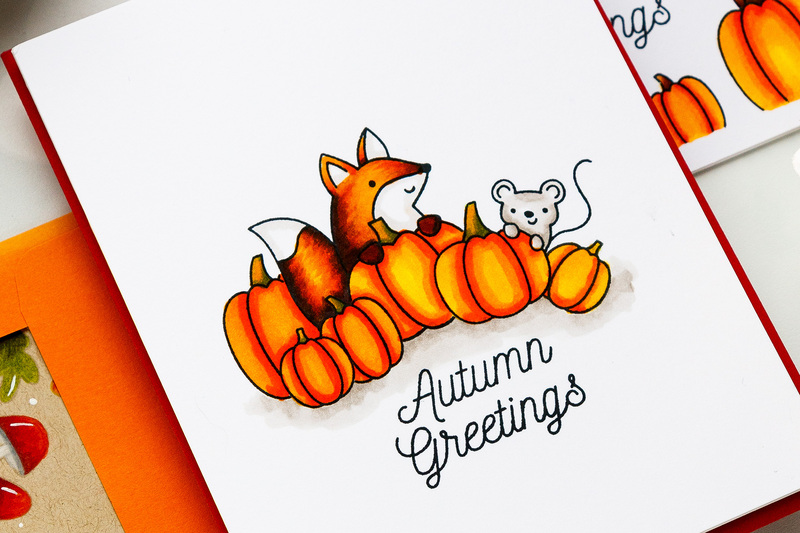 I love the warm rich colors and cute critters! Awesome card ideas! I love one layer cards, and yours are fabulous! The wreath cards are my favorite; your pencil coloring is amazing. Thanks for the tutorial. Simply gorgeous! I love your no-line pencil coloring; it’s just so vibrant and lovely every time. Thanks for sharing all these great ideas with us! I’m usually sending cards through the mail, so it’s really helpful for me to have these one-layer techniques in my back pocket. Lovely cards. Fall is my favorite time of year. Love the colors. sigh, your projects are always so perfect Yana. Love them all! So many gorgeous creations! I love your style, just so inspiring, clean and beautiful. The way you have used these new products is just amazing!!! 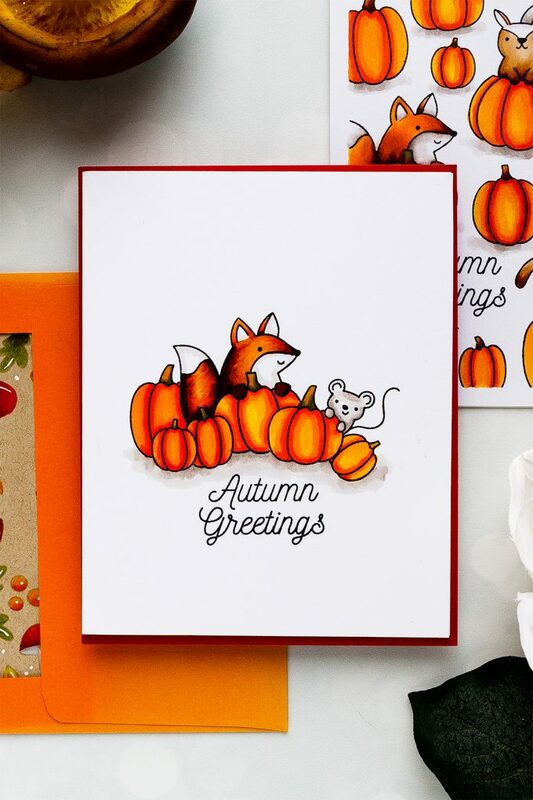 Hi, my name is Amant and I love your work, especially these cards! These are fantastic! I really love your coloring on the Kraft! Beautiful cards! I always love your ideas and learn so much from your videos. Thanks! Wow, amazing cards Yana! Stunning coloring and fabulous vibrancy. Love! I love that you make your own backgrounds by repeating smaller stamps. You’re my kind of person is my fave in this bunch! 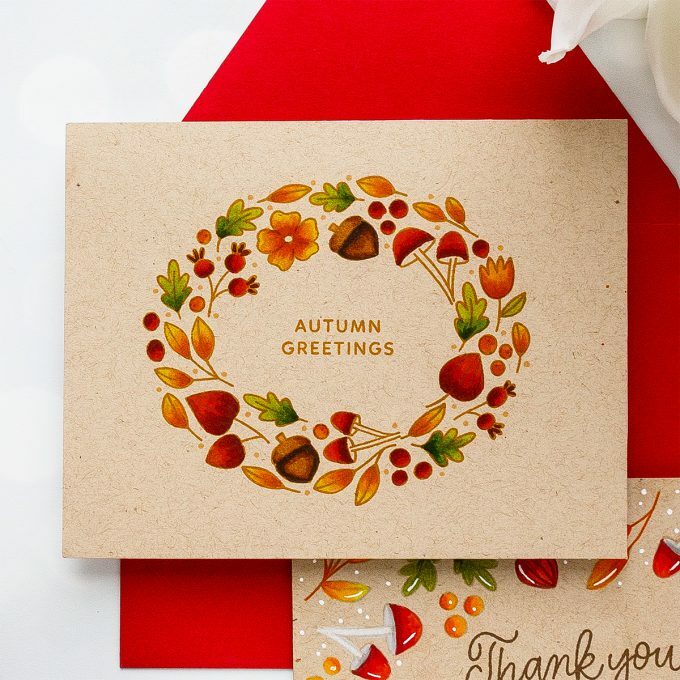 I am a big fan of all your cards, Yana, but I especially like these very vibrant colors for your fall cards. I always learn something from your tutorials and find inspiration on your blog & website. 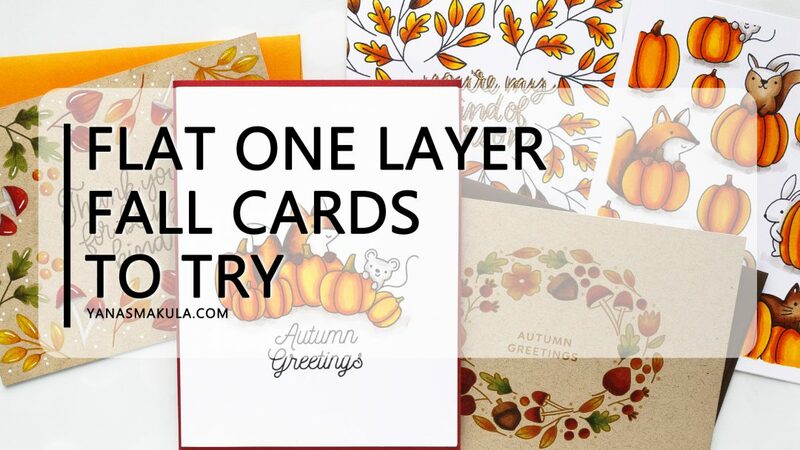 Thank you you Yana for all these wonderful techniques to use when trying to make one layer cards! Beautiful! 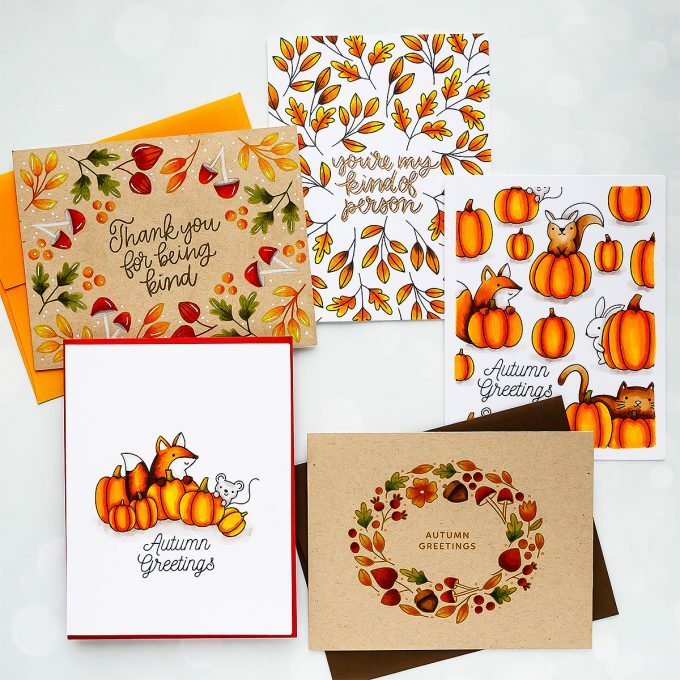 Gorgeous Fall cards!!! Colors are so beautiful!!! These are all so gorgeous!! 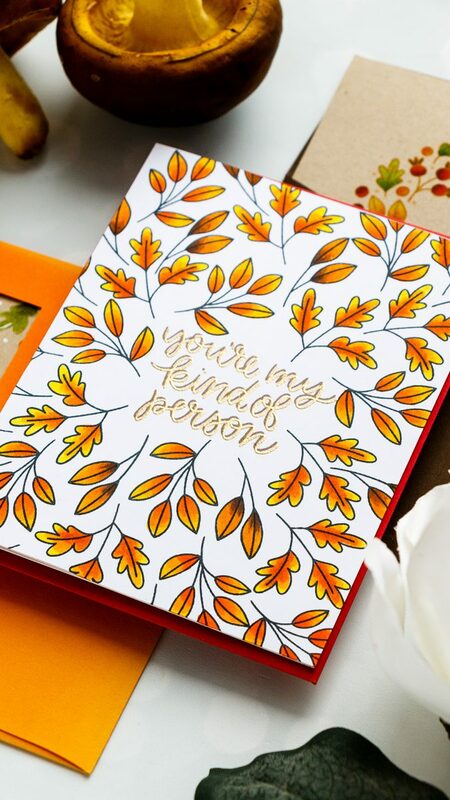 Your coloring is fabulous and the bright colors really make these one-layer cards pop! Lovely cards. I love these one layer ideas. Thanks for sharing your crafty inspirations! Beautiful fall colors! It just makes me smile! Thanks!